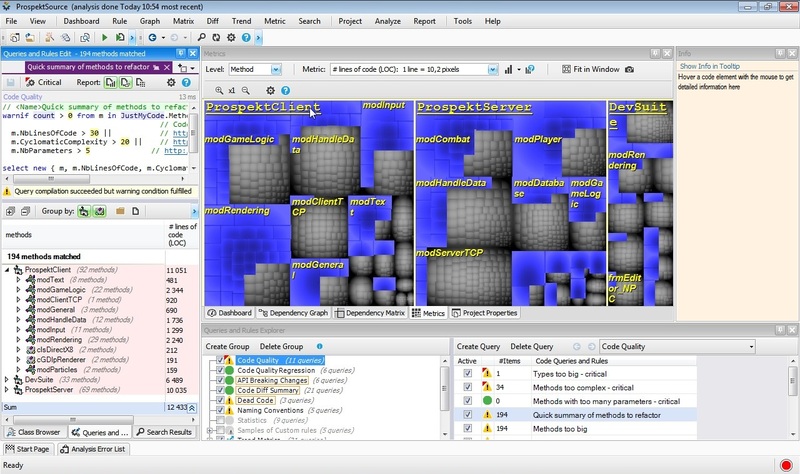 More than 100 companies use VBDepend to measure and understand their VB6/VBA source code. 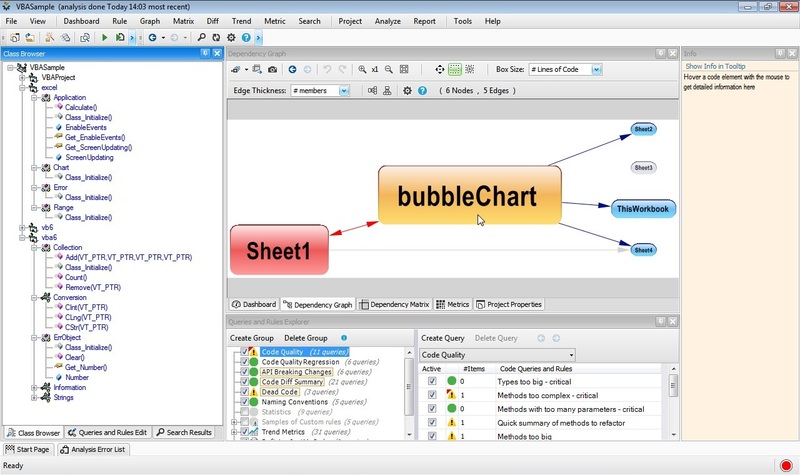 Get Trend Charts about any code metrics. Get meaningful Reports about your code. 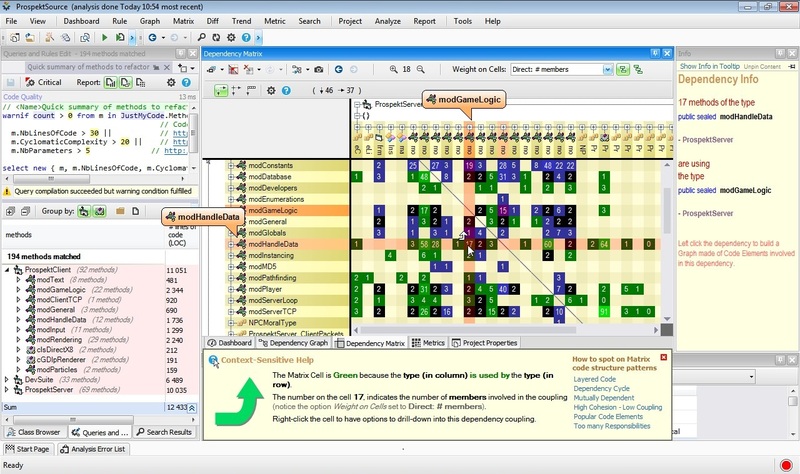 As a static analyzer, VBDepend will likely find hundreds or even thousands of issues affecting a real-world code base. Stopping work to attempt to fix all issues for weeks would be quite unproductive. Recent code smells that should be fixed before committing any code to source control are highlighted in VisualVBDepend. They can then be fixed even before reaching the source server. Because we know developer time is invaluable, VBDepend is fast, very fast. The analysis results can be re-estimated within just a few seconds, even for hundreds of rules passed on a very large code base and, as we are aware of its importance, without any noticeable IDE slow down. Fixing issues is much easier as the developer is immediately informed with no delay of new issues just created, while the context is still fresh in her mind and while the code is not checked-in yet to the source control server. Since quality is checked automatically and continuously with a strong focus on recent changes, the team builds better code. VBDepend is phenomenal and very useful! As a matter of fact, we recommend it to all our customers, especially for large migration projects. Francesco Balena MSDN Microsoft Regional Director for Italy / Cofounder of Code Architects.